We’ve all done it, haven’t we? (Well, those of us with incurable creative habits, that is.) 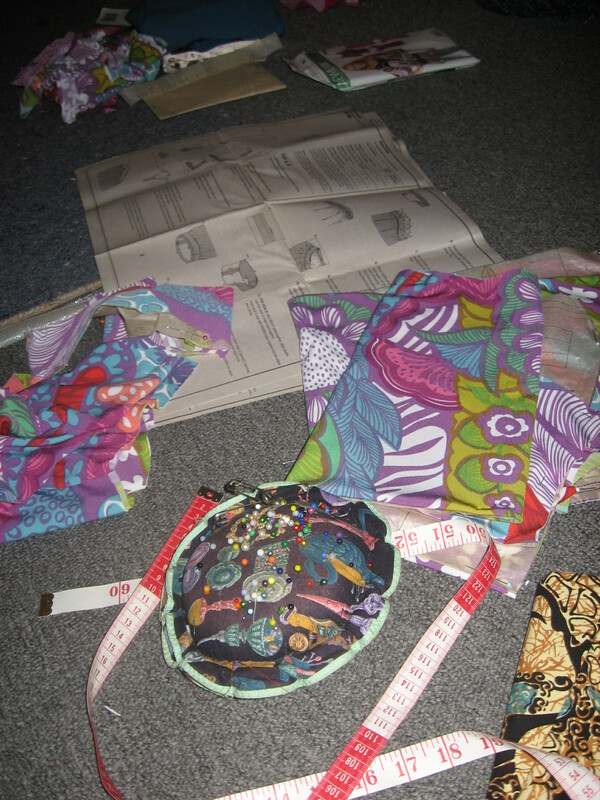 You think, I’ll just pop into Spotlight to get the zipper/buttons/matching thread for the pants/blouse/frock I’ve been meaning to finish/start/fix. $57 dollars later, and you’re now not only poorer, but have six more projects lining up. 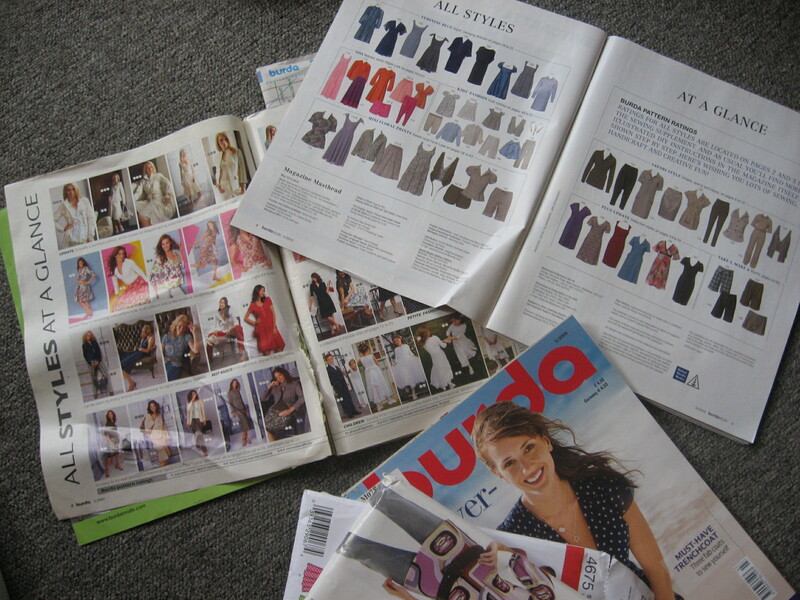 Most of which you have probably forgotton the zipper/buttons/matching thread for, and will therefore need a return visit to the fabric store…. 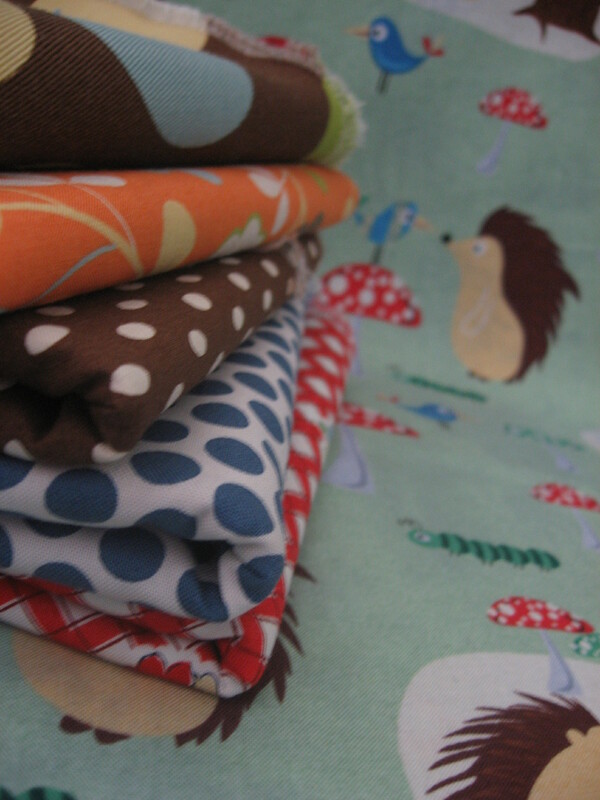 I was thinking about a cot quilt and couldn’t decide what matched the cute porcupine print; so I asked the lady behind the counter. Oh dear. It was pretty quiet in the shop, and she gave me about half an hour of her time; during which she presented me with about 50 different combinations of fabric, and by the end I was so confused I ended up with the red and blue. Which I now don’t like. The orange and brown were for something else entirely, but I quite like the brown spot for the porcupine print! The projects continue to pile up…..
Oh well. I probably need another zipper anyway. I feel your pain. I feel your pain in the form of six of those big plastic tubs (aka stash storers), now full of fabric, sitting down in the garage…. Buying fabric easy. 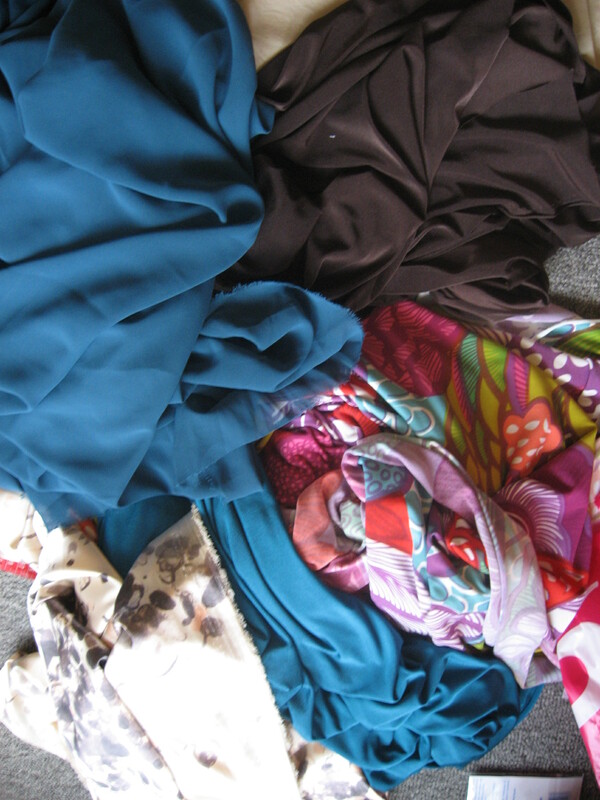 Finding time to sew with fabric not so easy. Haaa ha ha you are funny girl.